Born in the 80s, the undercut is recognised as being made popular by musician David Bowie. Today, every guy who likes to set trends and stand out from the crowd has thought about getting an undercut. Even though this style was linked to the punk movement and goth trends 30 years ago, today the style is much more acceptable and can easily be worn day to day. The trend. You’ve probably already spotted this style on dozens of runway models and well-know celebs. The undercut has been popular for many years amongst high-flying A-listers and is now starting to be worn by fashionistas and bloggers everywhere. The hair around the ears and the lower section of the head is completely shaven, or cut very short whereas the upper sections remains voluminous and fairly long. The length on top can vary from person to person, but the contrast between the two sections must be obvious and at least 8cm different. Get the undercut look. If you decide to go ahead with the undercut, you should be ok with the fact that your hair will be a statement feature of your look that will be noticed by every passerby in the street. Can you handle the attention? Make the most of the look by really emphasising the short under layer and floppy top section. Make your top half shiny and voluminous for real wow-factor. Take note, you only need to style the top section of your hair, so leave the bottom layer alone. Once you have your haircut, you can play with colour and maybe go for a different colour on each section if you’re feeling especially daring! How to style the undercut. 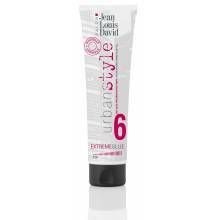 To style your new hairdo, get yourself a quality styling gel. You have unlimited styling options when it comes to your hair. Try the rockabilly quiff, hair slicked to the side or super neat, straight hair. It’s totally up to you! The main thing is to make sure you pick a look that will show off both sections of your hair.